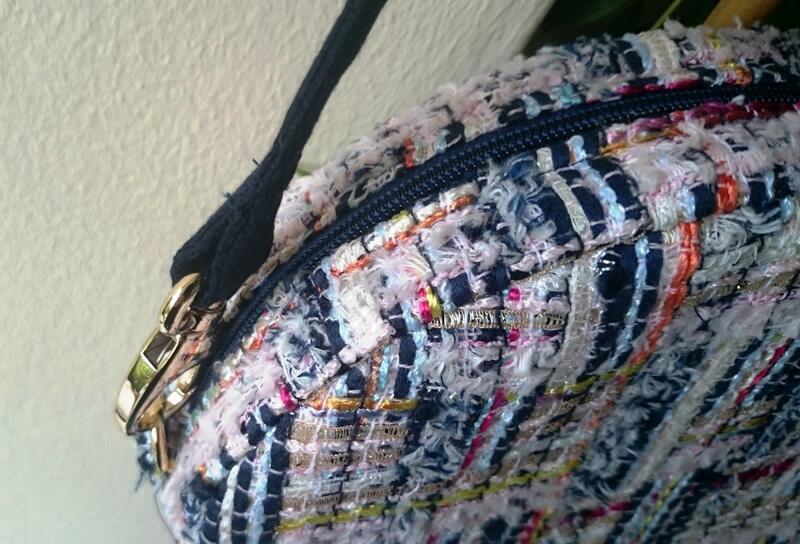 Crossbody bag, navy blue, pink... luxury tweed round bag. trendy, casual chic purse. fashion circular handbag made in france Package shipping 48h. This round crossbody bag, trendy, hot fashion, matches with many outfits, from the most chic to the most casual. 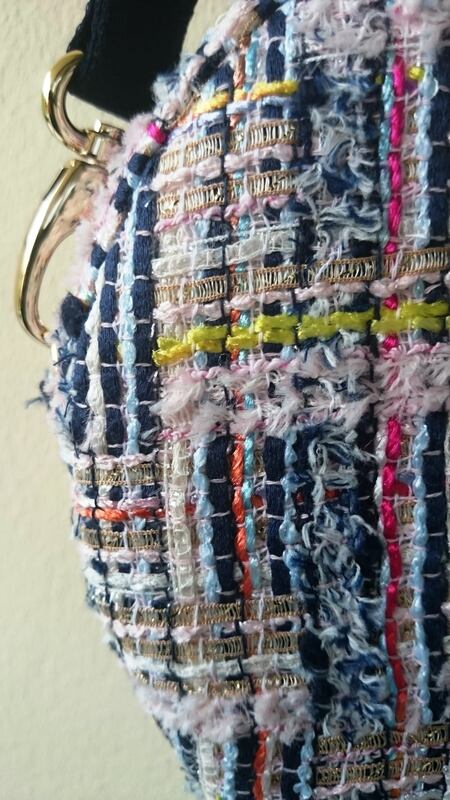 The main colors are navy blue and light pink, and multicolor threads (gold, off white, yellow, orange, fuchsia, light blue) add more brilliance. It's an unique and original design I conceive, Its color and its circular pattern is specially fashion. The choosen fabric is really beautiful and is used by a famous french fashion design house... you certainly will recognize. It is enough little to be cute and just enough roomy to contain useful items. This circular bag is lined in navy blue and closes with an assorted zipper. The rings and the snap hooks are in golden metal. The diameter is 8 inch about. It's sold with a matching blue stap and a golden chain.